A Limited Liability Company (“LLC”) is an entity formed under the laws of a particular state. The owner(s) of the LLC is called a “Member.” The operation of the LLC is governed by state law, and generally, those statutory operational procedures/options can be modified by a written agreement between the members. The agreement between the members is generally called an Operating Agreement – in Texas it’s called a Company Agreement. As to taxation, a particular state may or may not tax the LLC’s net income apart from taxing the individual member or members. But as to the Federal tax imposed by the Internal Revenue Code, there are a few options for the LLC members concerning the taxation of the LLC’s net income. This article will only deal with the Federal taxation of LLCs. The “default” taxation rule for an LLC is that it will be taxed under the partnership rules. If the LLC has only one member, then the LLC can be treated as a “disregarded entity” for tax purposes. The LLC can also make an election, whether it has multiple members or just one, to be taxed as a corporation. I will briefly discuss each of those 3 options in the following paragraphs. As stated above, the default rule for an LLC with 2 or more members is that the LLC will be taxed under the partnership taxation rules and is required to file a Partnership tax return for the LLC. For most types of income, the partnership does not pay tax at the partnership level. The partnership return will report all items of income and expense, and then report the net income to the members on a return called a K-1. There are some items of income and expense that must be reported on the K-1 separately and not included in the calculation of net income to the members. Interest, dividend, rental, and royalty income are a few examples of income that must be reported separately to the members on their K-1. Depreciation expense and donations are examples of expense items that must be reported separately. Generally, one noteworthy item regarding the income earned by a member from an LLC is income allocable to the member who is actively involved in the LLC’s business will be subject to self-employment tax (“SE tax”). SE tax is social security and Medicare tax. Since the member is not an employee of the LLC, there is no withholding for social security and Medicare tax. Currently, there is a “deduction” allowed to the member on his/her tax return for ½ of the SE tax paid with his/her federal tax return. If there is only one Member of the LLC, and the LLC does not make an election to be taxed as a corporation, the IRS allows for the LLC entity to be ignored for the reporting of income and expense. The IRS requires the income and all related expense items will be reported on the member’s personal tax return. That reporting generally occurs on Schedule C of the 1040. However, if the LLC’s “business” is rental property, those items of income and expense may be reported on Schedule E.
One important thing to note is that the LLC doesn’t file a separate return of its own. Its income and expenses are reported by the member on his/her personal tax return. Another important item to note is, for disregarded entity purposes, if the LLC’s only 2 members are husband and wife, they will be treated as a single member. Therefore, the husband and wife can disregard the entity and report the income/expense on their personal return. The LLC does not need to file a Partnership. An LLC can make an election to be taxed as a corporation rather than be a Disregarded Entity or be taxed as a Partnership. There are 2 types of corporation for this purpose: a “C” corporation and an “S” corporation. The very basic difference is a C corp will pay tax on its net taxable income. Then, at some future date, the C corp will declare dividends and pay those dividends to its shareholders/Members. When that occurs, the shareholder/member will then include those dividends in his/her income subject to taxation. This is the “double taxation” that you have heard about – and generally a reason not to elect to be a C corp. But suffice it to say that there may very well be good reasons for electing to be a C. But those reasons are well beyond this brief article. The other option, the “S” corp election, provides something of a hybrid of the corp and partnership taxation rules. Under the S corp rules, the entity reports its income and expenses on its own tax return (currently an 1120S) but does not pay tax on the net income. Each member receives a K-1 for his/her share of net income. As with the partnership, certain items of income and expense must be reported separately on each member’s K-1. Unlike the partnership or disregarded entity, the LLC will pay salary/wages to the members working in the business, and that compensation is deductible at the entity level in determining net income or loss. Unlike the C corp, the S corp does not pay tax on its net income. That net income is “pass through” to the members on the K-1s, and the members report the income on their individual tax returns – thereby avoiding the double taxation of the net income of the entity. An important item to note: The federal election to be taxed as a corporation does not affect the statutory rules governing the LLC (at least not in Texas and Louisiana where I practice law). The entity is still an LLC, governed by the state laws governing the operation of an LLC. The entity is not somehow morphed into a corporation to be governed by the state’s corporate laws. 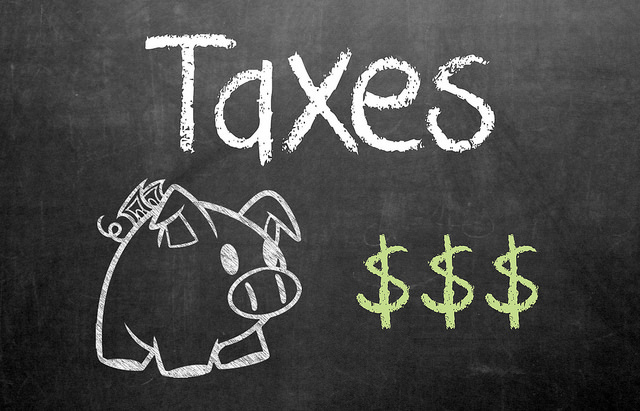 There are numerous factors to be considered in determining how your LLC will be taxed. It is important to seek qualified, competent counsel to assist in evaluating you particular situation and making the choice as to how your LLC will be treated for tax purposes.